This fabulous rhino bust is sculpted around a rare and exotic Keshi pearl from Australia. 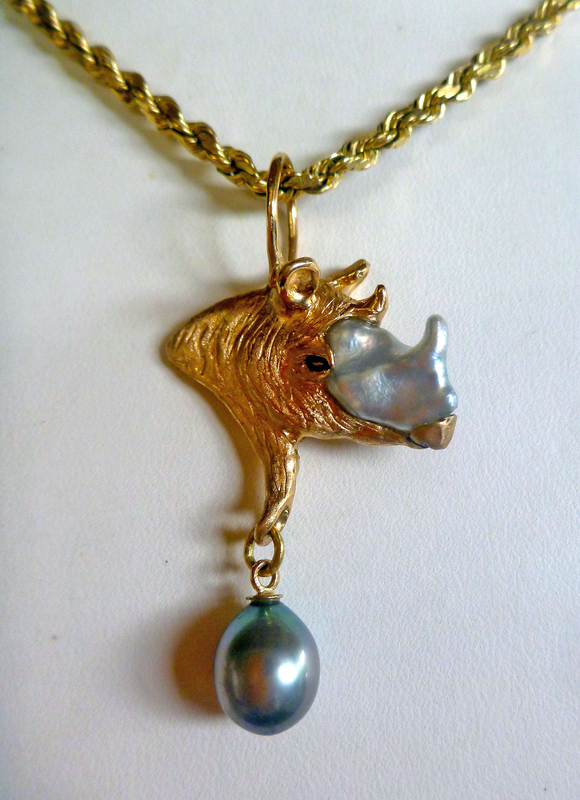 It is cast in 18k gold with a South Sea Cultured black pearl dangling below the Rhino bust. This is truly a unique, one-of-akind creation. 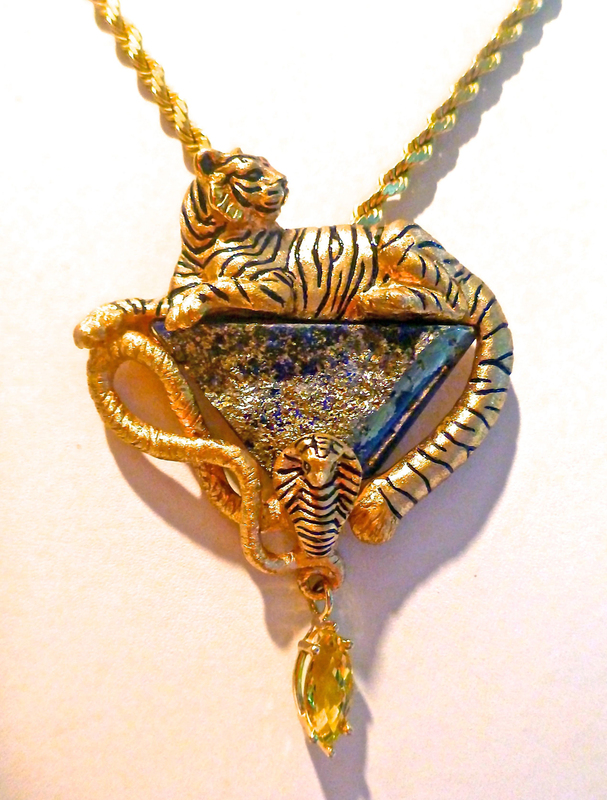 This Magnificent tiger is reclining above a lapis lazuli gemstone while a cobra raises its head below. A 1.52ct. 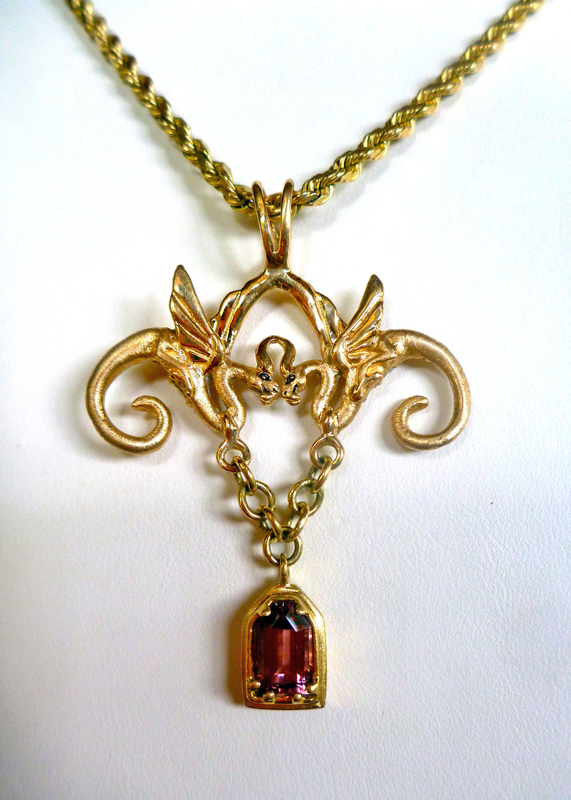 topaz marquis dangles beneath this unique, one-of-akind pendant cast in 18k gold. 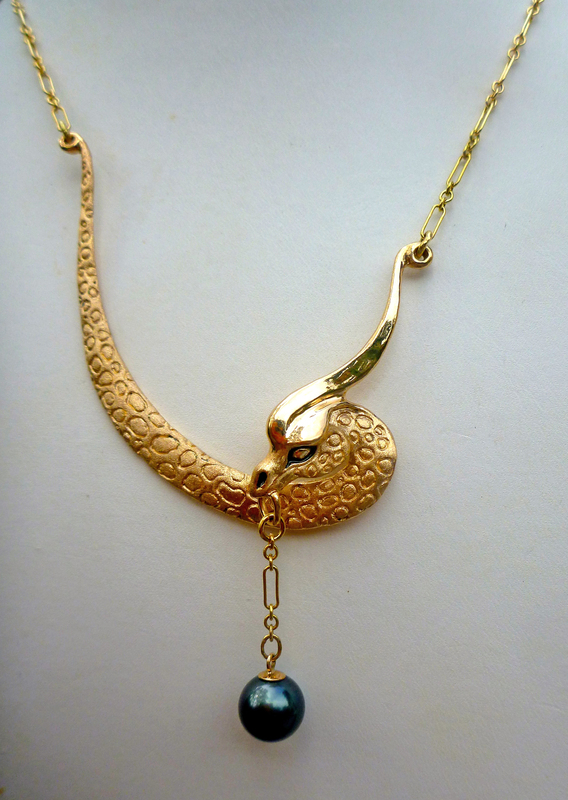 This 18k gold dragon includes a delicate 18k gold chain and a dangling South Sea Cultured 9mm black pearl. 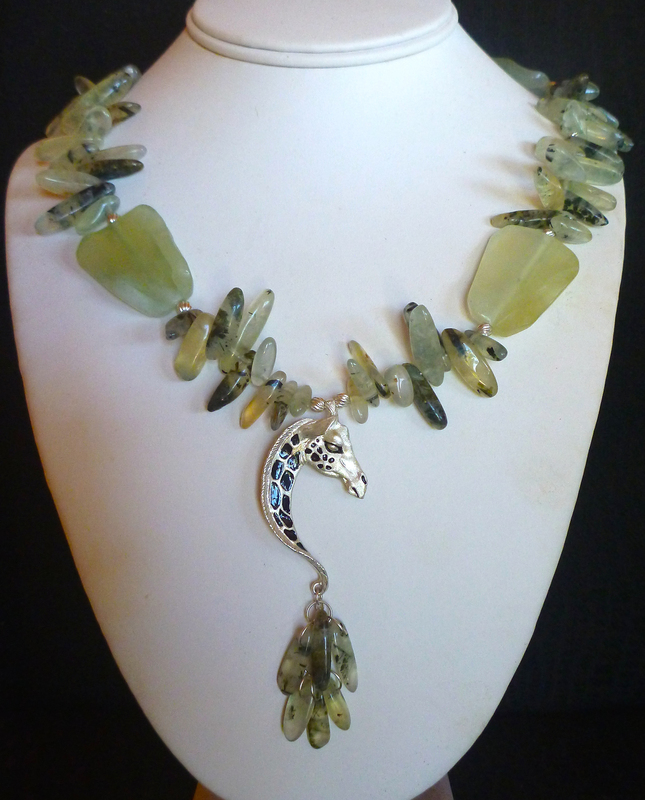 This pendant is 19 1/2 inches total length. 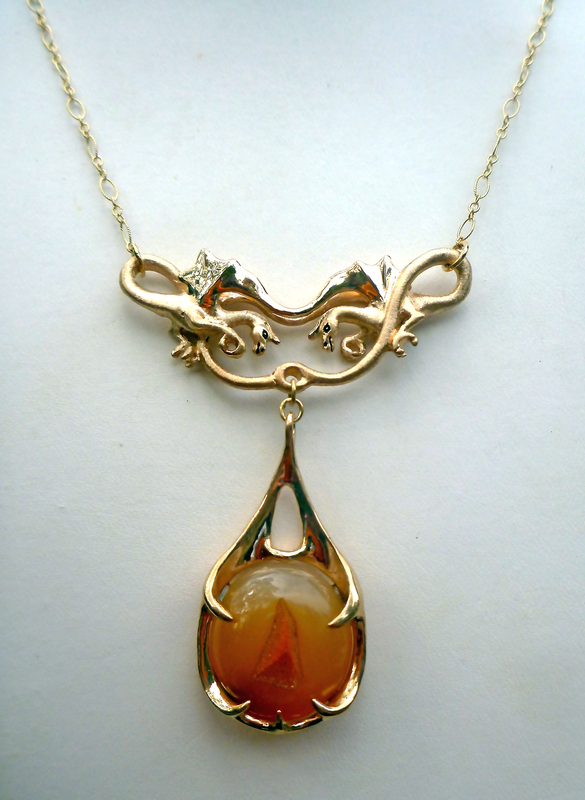 These 3D looped dragons entwine above a hanging stylized dragon claw grasping a beautiful orange druzy stone. 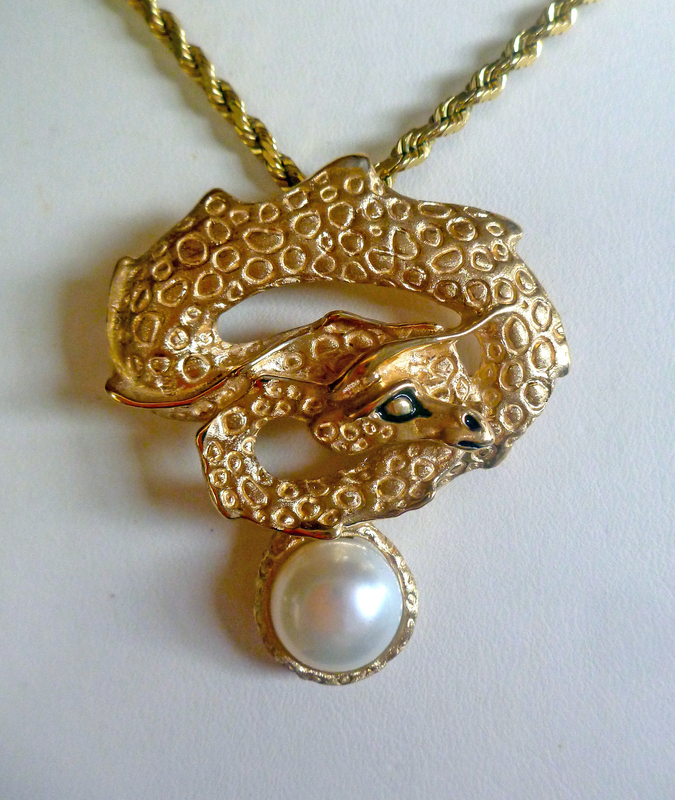 The delicate 18k gold chain is included. 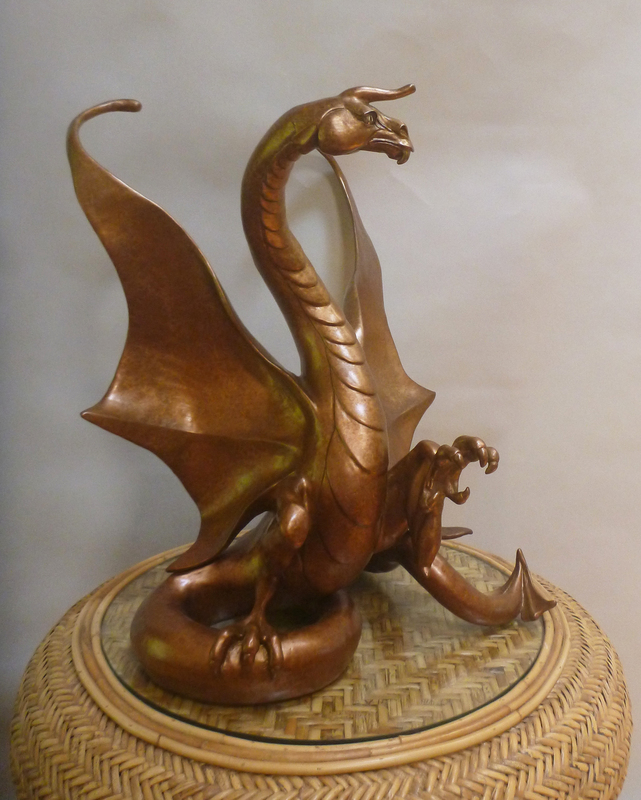 These 3D Medieval dragons join to form a delicate pendant in 18k gold. Dangling below the pair is a 1.3 ct. pink tourmaline set in 18k gold. This pendant is 2" high and 1 1/2" wide. 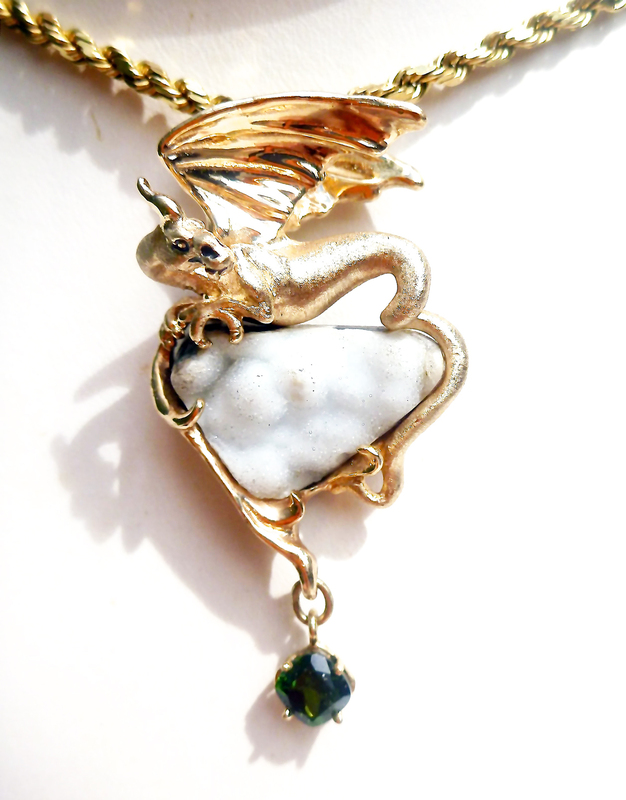 These 18k gold dragons are sculpted above a freeform design holding a beautiful, sparkling druzy. A .30ct (approx. weight) pear shape ruby with a .03ct. 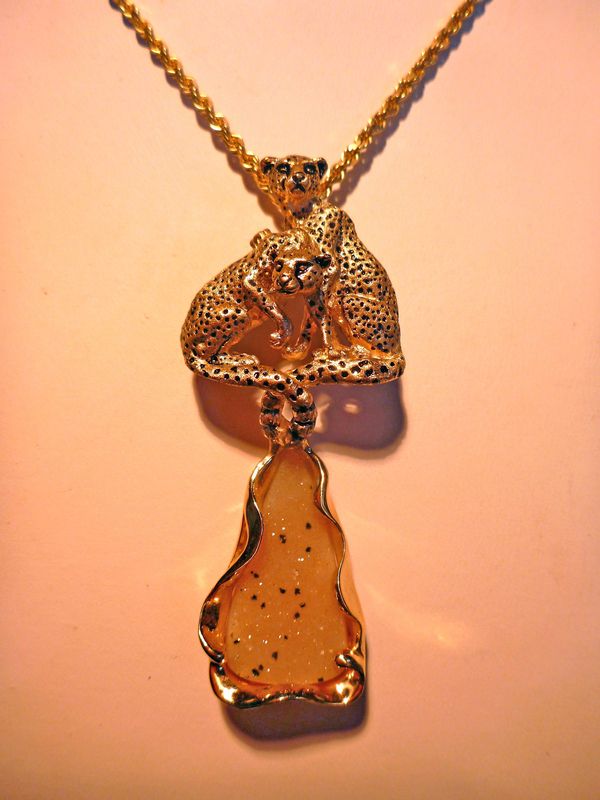 G,SI diamond are suspended below the druzy. 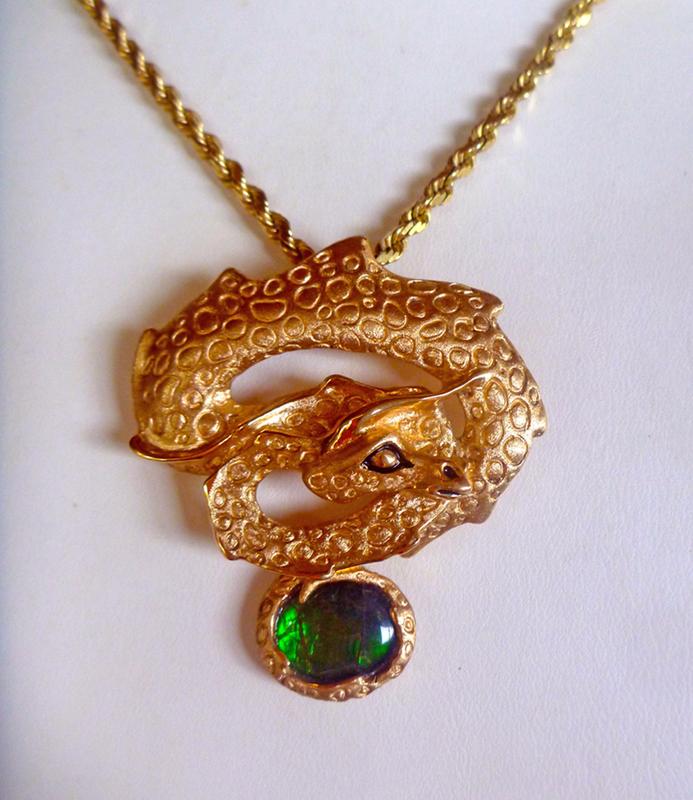 This Crouching Dragon pendant is 14k gold set with a druzy stone and a 1.18ct. 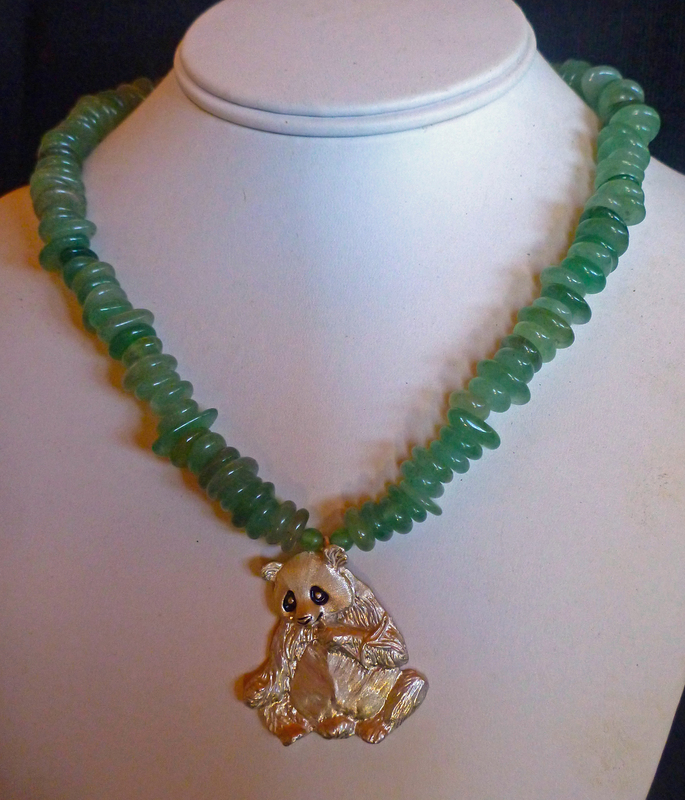 green tourmaline. 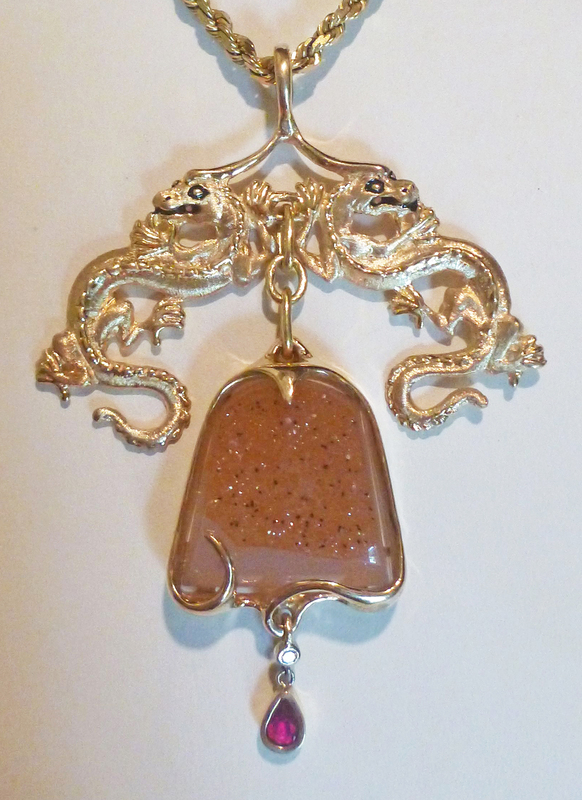 This 14k gold dragon skin pendant is 1 3/4" high and 1 1'2 " wide. It's textured dragon tail wraps around an 11mm Mabe Pearl. 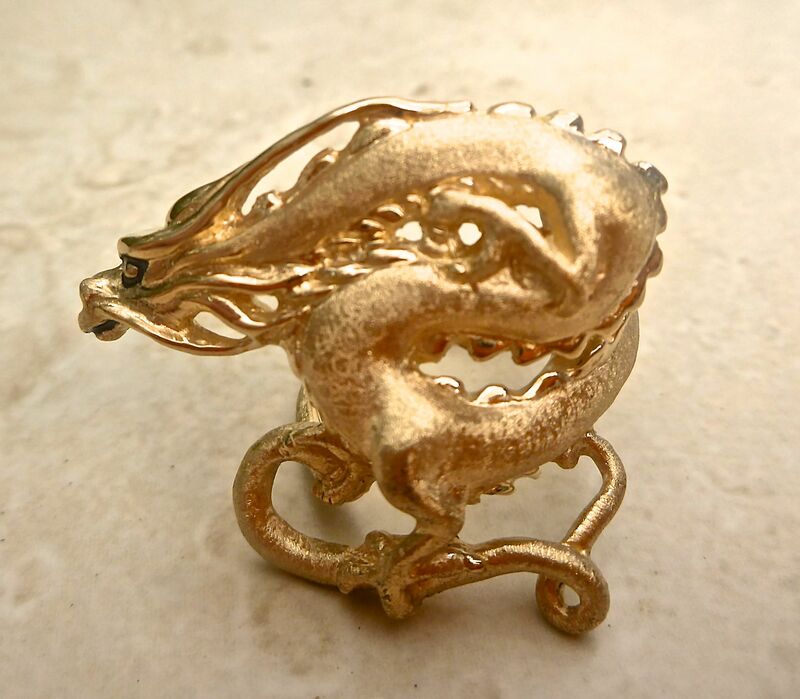 This stunning Dragon Skin ring is 14k gold. 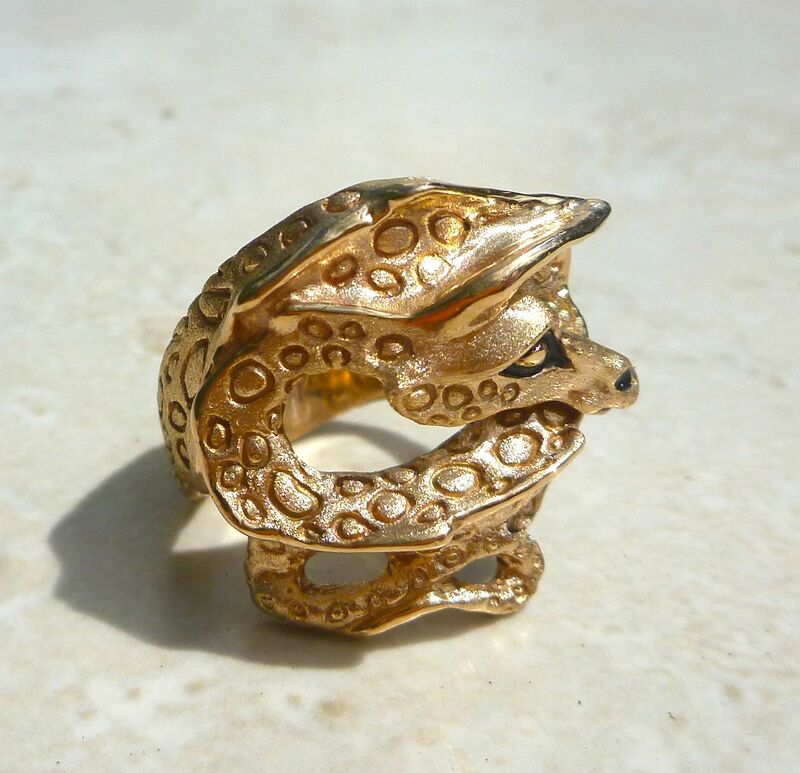 This intricately detailed Eastern drain ring is a bold choice for fanciers of these mythological beasts. 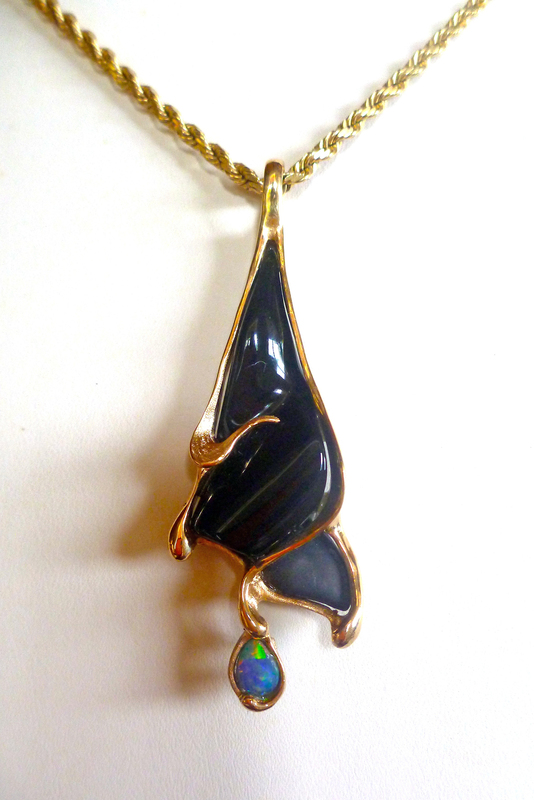 This graceful freeform pendant is sculpted around a stunning, carved onyx and set with a beautiful .69 ct. Boulder opal in 18k gold. This is a one of a kind creation. 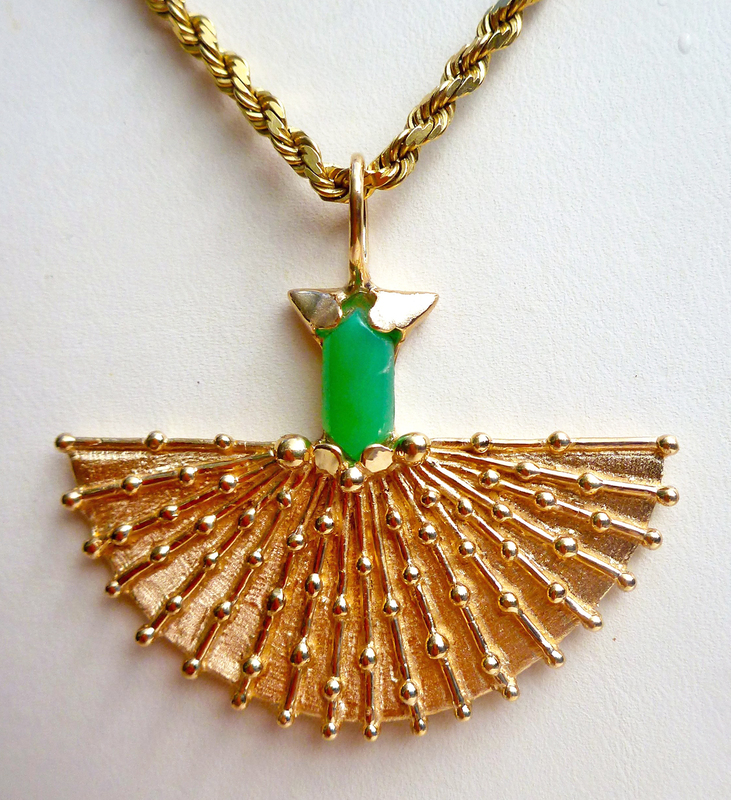 This large beaded 18k gold fan is set with a 1.37 ct. carved chrysoprase gem.